Dueling statements in the American Chemical Society science by press release | Watts Up With That? Hmm…which to believe? The headline or the statement. Maybe he’s just jealous of Jim Hansen getting all the attention for his just wrong and now panned PNAS “weather is climate” paper. Molina emphasized that there is no “absolute certainty” that global warming is causing extreme weather events. I guess anything goes when you’ve saved the world before. PHILADELPHIA, Aug. 20, 2012 — New scientific analysis strengthens the view that record-breaking summer heat, crop-withering drought and other extreme weather events in recent years do, indeed, result from human activity and global warming, Nobel Laureate Mario J. Molina, Ph.D., said here today. Molina, who shared the 1995 Nobel Prize in Chemistry for helping save the world from the consequences of ozone depletion, presented the keynote address at the 244th National Meeting & Exposition of the American Chemical Society, the world’s largest scientific society. The meeting, which features about 8,600 reports with an anticipated attendance of 14,000 scientists and others continues here through Thursday. Molina emphasized that there is no “absolute certainty” that global warming is causing extreme weather events. But he said that scientific insights during the last year or so strengthen the link. Even if the scientific evidence continues to fall short of the absolute certainly measure, the heat, drought, severe storms and other weather extremes may prove beneficial in making the public more aware of global warming and the need for action, said Molina. Molina, who is with the University of California, San Diego, suggested a course of action based on an international agreement like the Montreal Protocol that phased out substances responsible for the depletion of the ozone layer. “The new agreement should put a price on the emission of greenhouse gases, which would make it more economically favorable for countries to do the right thing. The cost to society of abiding by it would be less than the cost of the climate change damage if society does nothing,” he said. In the 1970s and 1980s, Molina, F. Sherwood Rowland, Ph.D., and Paul J. Crutzen, Ph.D., established that substances called CFCs in aerosol spray cans and other products could destroy the ozone layer. The ozone layer is crucial to life on Earth, forming a protective shield high in the atmosphere that blocks potentially harmful ultraviolet rays in sunlight. Molina, Rowland and Crutzen shared the Nobel Prize for that research. After a “hole” in that layer over Antarctica was discovered in 1985, scientists established that it was indeed caused by CFCs, and worked together with policymakers and industry representatives around the world to solve the problem. The result was the Montreal Protocol, which phased out the use of CFCs in 1996. Adopted and implemented by countries around the world, the Montreal Protocol eliminated the major cause of ozone depletion, said Molina, and stands as one of the most successful international agreements. Similar agreements, such as the Kyoto Protocol, have been proposed to address climate change. But Molina said these agreements have largely failed. In addition to a new international agreement, other things must happen, he said. Scientists need to better communicate the scientific facts underlying climate change. Scientists and engineers also must develop cheap alternative energy sources to reduce dependence on fossil fuels. This just isn’t true. Dobson found the hole long before that. Don’t I recall a reoprt eyars ago that the so-called ozone hole over the Antarctic was actually an annual thinning of thelayer due to lack of sun light in the winter? And as I recall it was discovered by French scientists in the fifties well before the heavy use of CFC’s. Also, how do CFC’s which are heavier than air reach the higher altitudes. We do know that ozone is caused by sunlight and being very unstable dissapates whne the sunlight is not present such as in the Antarctic winter. Yet this myth is still being presented as fact. I hope all you HEATHENS realize that you are condemned for you SINS and going to HELL unless you repent, do any of 100 things prescribed by various RELIGIOUS AUTHORITIES…etc. Life by AUTHORITY…isn’t it WONDERFUL!!! Wait, that’s the way RELIGION works in many cases. NOT the way science and engineering work. If I did some assesments and said, “You can build this, this way…it will work…based on my AUTHORITY..” I would not only be laughed at, I would..in short order lose my job. AMAZING how people as this CLOWN…(sorry, that’s all the better he deserves now) suddenly become PRIESTS! AMEN and HALLELULIA, pass the Kool-Aide. 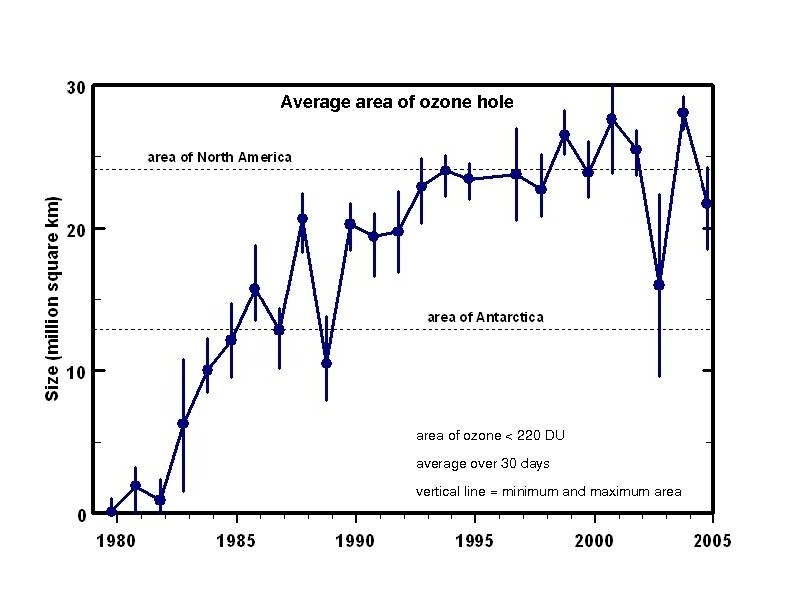 Thanks to Dr. Molina, that scary ozone hole isn’t getting any bigger. And similarly, my village druids get the sun to return every winter solstice. Don’t know how they do it but they have my gratitude. Oh, I forgot to mention, I once saw a guy on Monty Python hypnotize a brick. Amazing! “People may not be aware that important changes have occurred in the scientific understanding of the extreme weather events that are in the headlines,” Molina said. That is a lie. There is no new science which permits any different conclusion regarding attribution than there was last year, or the year before. The only thing that has changed is the weather in the US. They have been waiting for a warm weather event in the US to exploit for political purposes, and they are doing just that. This is the tune that the drums will be beating out. And after all the cheap CFCs were banned and extremely expensive replacements were supplied at huge profit to the chemical industry the ozone hole actually continues to thrive. There’s a surprise. Same plot different characters. Somehow, just somehow, I know that these important changes will not involve well confirmed physical hypotheses but more computer models constrained by no physical hypotheses. So, catastrophes are unlikely. And we could have some consequences that are very damaging. Why do I need a Nobel laureate to tell me this? Why does the ACS need a Nobel Laureate to tell them this? Why is there a press release on this? An accurate newspaper account would probably include something along these lines: Molina was able to get out of town before the audience could find a rail. Did they, outside the laboratory? The 1985 discovery, was it actually caused by CFCs, has this been established beyond reasonable doubt? I understood ozone was being created & destroyed all the time in the atmosphere. The Antarctica discovery appears every SH Springtime, has shrunk & grown all the time. How do they know it has not always been there? Too many questions on that score. As to demonstrating that Witchcraft err, sorry manmade CO2, causes Catastrophic Climate Change, I am yet to be convinced! I certainly hope there are other members in ACS with a different opinion, and that they get a chance to lecture too. It occurs to me that ACS may suffer slightly from adherence to the US government. Wait, what happened to tornadoes. Shouldn’t that increase too due to climate change, or was it global warming. Maybe the average joe has become aware of the fact that some people have been blowing smoke (though they didn’t inhale I’ve heard) so now they bring the big guns to silence the crowd. Science has become a whore. ROTFLMAO @Don! Thanks for both your comments. My keyboard was in need of a coffee bath. LOL! Sorry, but just what are the ‘scientific insights during the last year or so strengthen the link”? Is he talking about BEST? Willis demolished the headline link to CO2, as have others, and this was hardly a new insight anyway, just a re-hash of the existing correlation of CO2 and temp, so just what is this guy on about? There is nothing, absolutely nothing, which has changed in the attribution question in the past 5 or probably even 10 years. We have more years of data on global temperature, which actually does not even seem to have increased in that time period, but that says nothing about the link to anthropogenic emissions. We also have more data on extreme weather events – which appear to be pretty similar or even reducing over the same period – and which also says nothing about attribution. The only possible “insight’ in recent years is the cosmic-ray/cloud hypothesis, which provide a supportable hypothesis for solar influence and which actually reduces the link to emissions. Can anyone point to any other new research on attribution? Really, this guy is spouting complete rubbish. – find or produce a graph of global food production and ‘global temperature’ over the last 100+ years. as well as on Earth. All indications are that the ozone “hole”, as well as the water vapor “hole”, a nitrogen oxide “hole” and methane “hole” over Antarctica are naturally occurring and caused by Polar Vorticity. To learn more about Polar Vortices on Earth see the WUWT Polar Vortex Reference Page. Whatever its effect on the Ozone layer, the main downside of the Montreal Protocol banning CFCs was vast piles of dead fridges littering the British countryside. Whatever its effect on the climate, the main downside of a new Montreal Protocol banning cheap energy will be vast piles of dead bodies littering the cities of the world. But he is a nobel laureate, so this is allowed. Just ask Paul Krugman. Seems to me Molina is missing the attention he received helping the UN with their first and original global scam. …the main downside of the Montreal Protocol banning CFCs was vast piles of dead fridges littering the British countryside. … a new Montreal Protocol banning cheap energy will be vast piles of dead bodies littering the cities of the world. Well, that sort of meets the stated goals of some groups. A lot of people have to be shed in order to get down to that “Maintain humanity under 500,000,000 in perpetual balance with nature” goal. Molina, who shared the 1995 Nobel Prize in Chemistry for helping save the world from the consequences of ozone depletion. hhmmmm. same s**t, different day! I’m getting very tired of hearing the public relations line that climate scientists have to do a better job of communicating, but I find it quite amusing that Molina is handing out this advice and then contradicting himself from one breath to another in the last paragraph. Well, as a confirmed skeptic of cagw, I can be forgiven for a little apostasy. It seems to me that a higher input of energy would necessarily increase the severity of extreme events. But that would come from solar input, no? Hrm, I dunno, but I now water makes it up there and it’s much heavier than air, so I am going to say ‘convection’ which is the same answer is as for water. it is important to note the ozone surplus around the ozone “hole”. Observations in Antarctica initiated in the 1950’s document this progressive loss of ozone during the Southern Hemisphere spring. Satellite data from the NASA/TOMS showed that the affected area was not just limited to over the observation stations, but over most of Antarctica. Actually, Dobson didn’t find it, he predicted it based on the rather trivial physics involved. When instrumentation became sufficiently accurate to measure the effect that he predicted, his prediction was confirmed. It isn’t that complicated. Some frequencies of UV ionize oxygen into ozone, but they have to pass through the ozone layer to get to the oxygen. The more ozone there is to absorb UV the less ozone production. At the same time other frequencies of UV break down ozone into oxygen. So, at the “top” of the ozone layer, ozone is continually being destroyed and at the bottom continually being created. More ozone = less ozone production and less ozone = more ozone production. At the poles, in winter, the angle of the sun’s rays means that the path through the ozone layer is much extended, and comes over the lower latitudes, so by the time it gets to the high latitudes itz strength is depleted and production falls off, while at the higher altitudes the same filtering isn’t as pronounced, so rates of destruction stay high. Thus there is a hole that appears every winter over each pole, the southern pole being more pronounced because the earth’s orbit is elliptical and favours even higher ratios of ozone destruction vs creation as does the north pole. As an aside to my note above regarding ozone depletion and generation over the poles, this is very little different to noticing that the high latitudes are colder in winter than they are in summer. Duh! No evidence, but plenty of “scientific insight”… and that from a Nobel laureate. With what I’ve seen in past, the term “Nobel Laureate” has been stripped of merit. The TOMS program began with the launch of TOMS Flight Model #1 on the Nimbus-7 spacecraft on October 24, 1978. Valid measurements started in November of that same year and the instrument continued to return data long after all other on-board experiments had failed. The TOMS instrument fell silent in May 1993. The software to derive useful information from the data returned by Nimbus 7 TOMS is the basis for the algorithm used to analyze all TOMS data and has gone through a lengthy evolutionary process bring it to the current version. The Version 7 processed data include a revised instrument calibration based on analysis of the entire 14.5 year data record (including a correction for a 0.2 nm wavelength error which caused a 3% absolute offset relative to Dobson) as well as an improved algorithm. The data for November 2004–2011 are from the OMI instrument (KNMI / NASA) onboard the Aura satellite. They are the OMTO3 that have been processed in a manner similar to the TOMS data from earlier years. It seems that the TOMS instrument has a long history of issues and required “corrections”, thus the resultant Ozone “hole” data should be considered highly suspect. Molina makes me ashamed to admit I am a chemist and was a ASC member for decades. Molina proves politics, not science is what pays. Actually, the action that he’s suggesting will make all prices be permanently higher. Molina was probably contacted by a journalist looking to write the story given him by his editor. It is the university’s interest that he cooperate. Margaret Mead had this problem when she did her research on the Samoans: those she spoke to wanted to please her and not displease her, so they told her what they determined made her happy and avoided the things that confused her or contradicted the thoughts she already head. In industry we call it the Nod and Smile response. Confirmation bias does the rest, so that a Samoan or a Molina can thow in a “but” and yet nothing changes in the conclusions published. If it weren’t so serious, it would be trivially amusing. Scores highly for the number of errors per line in a short post! The thinning is due to the presence of light in the spring not its absence in the winter. The Antarctic ozone hole was discovered by members of the British Antarctic Survey, Farman et al. and reported in 1985 (data goes back to the 50s). The CFCs are measured in the stratosphere, they get there by convection and diffusion. We know in the Antarctic stratosphere that ozone is not dissipated by the absence of sunlight during the austral winter, rather it is dissipated by the reemergence of sunlight in the spring. So the myths are all yours, nice try! ACS is chartered by the US governmnent. Molina does not present any scientific paper to support his assertion. Climate change is any change. What separates extreme climate change from weather? 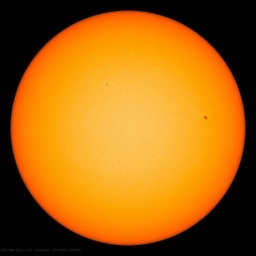 It will be interesting to listen to the backpeddling when the planet cools. Wonder how much Dupont grant money this joker saw over the years? Well, global warming could be related to extreme events…but how would you know ? We can not accurately measure “global warming” nor present extreme temperature events. The vast majority of the past and current instrument record has unknown measurement error, unknown sampling error, and unknown bias error, generally with a non-random sample size of 1. Just trash suitable for anecdotal information only. Add to this inconsistent, poorly documented and or unknown value manipulation called “adjustments”, missing original source data, poor / error ridden analysis code, etc. and you have pure garbage. Any pretense that such data is an accurate sample of reality is simply bogus. I would not use this data as toilet paper for fear of getting a rash. Get back to me when data is generated by adequate replicated random samples with replicated instruments having adequate replicates to measure the desired values. Until then we are just flailing at gnats. I don’t agree with everything in the quoted article, but I don’t understand Anthony’s primary point. A scientist “cites evidence of link” between two things. A scientists acknowledges “there is no absolute certainty” in science. I don’t see any contradiction here. I see how science is suppose to be done — you gather evidence & explore relationships, but always maintain a healthy skepticism. There is absolutely no need for either/or — the two highlighted statements are not in any way self-contradictory.” as Anthony seems to think. Now, you could argue specifics of the points that were made and the links that were drawn and the degree of certainty. Many people do in the comments. That is worth a blog post. HA HA silly scientists. How about this one? After all, if gravity is “settled science” then why does NASA still run experiments to test General Relativity? Sounds like NASA is up to their usual money-grubbing shenanigans. The THEORY of gravity has been debunked time after time! I should send them a video of me flying a kite to show them how wrong they are about gravity making things fall. After all, if they knew ANYTHING about statistics, they would know that statistics can be used to prove things with 100% absolute certainty. how do CFC’s which are heavier than air reach the higher altitudes. We have frequently sand dust settling down on our cars from the Sahara, 3000 km away, when the wind is coming from the South. Sand is orders of magnitude heavier than air… All is a matter of wind and the Brownian motion effect, which pushes much heavier particles around in all directions. For molecules, even the heavier ones are pushed to any height by wind and convection (like thunderstorms) and Brownian motion keeps them there. CFC are indeed measured in the stratosphere, where they decompose under UV, setting free chlorine radicals, which may decompose ozone. That is besides water (OH radicals) and N2O which do the same. No problem in the tropics where plenty of ozone is formed, but at -80°C in early spring around Antarctica, that causes a chain of reactions on the surface of the cold ice crystals in stratospheric clouds. Some years ago it was announced that one of the main reactions of the alleged reaction chain from chlorine to ozone depletion was much too slow to be responsible for the rapid depletion in early spring (but that doesn’t prove that chlorine isn’t involved). Thus Molina should give his Noble Prize back? I thought that was water; but what do I know, I’m only a seaman, not a Nobel prize winner. So much BS for one press release… it makes me want to vomit. Even the rising food prices argument… sigh. Falling temperatures (and drought) cause reduced crop yields and food shortages. So does turning food into ethanol but that’s another issue. Rising temperatures are good for crops. These intentional untruths are infuriating. Joseph Goebbels must be proud of these people. It appears to me that the alarmist rhetoric has been ramped up of late, to an output crescendissimo of a screech, resulting in further mind numbing social habituation to the Gaia revenge scenario: ‘death by weather’. And so we witness the unceasing development of ever more strident and extreme motives for funding and influence, aided and abetted by an MSM lost in the twilight zone. This is nothing less than politics now. It is not reasoned or reasonable. It is only spin and confabulation. David, Dobson invented the instruments to measure the “hole” and my point was the year not so much who. They said 1985 yet it was found in 1956. But I admit I thought he was there in the “50’s taking measurement. So is global warming causing higher food prices or are higher food prices caused by diverting nearly half of the US corn supply to global warming fighting ethanol? Around here, it seems to be the latter. The two statements are not mutually exclusive. The two statements, taken together, indicate that there is evidence but not absolute certainty. Agreed for the most part. After they “found” the sudden rise in November and it became a big deal, they “found” the same in the Arctic only in May, and not as large, sometime later. That left them trying to explain why, if CFC’s were the cause, that CFC’s being 90% released in the Northern Hemisphere while 90% of the supposed effect was in the southern hemisphere. The reasoning they came up with was that the colder temperatures in the antarctic led to a different chemical reaction (to which Ferdinand Englebeen refers above, and I’ve come to respect his expertise in these matters). There was some back and forth between scientists some of whom asserted via lab experiments that at the temps being contemplated in the antarctic the reaction couldn’t take place at all. It sorta died out as a discussion at that point because CFC’s had already been banned and reversing law wants it has been put into place, even if it is proven to be pointless, is very difficult to do. That said, I always regarded it as pointless anyway. The mean path of solar radiation to earth surface passes through the tropics. Even someone inside the arctic circle is exposed to UV radiation that passes through a rather large chunk of atmosphere over the temperate zones where ozone levels haven’t measureably changed. For people in the temperate zones, UV has to pass through ozone over the tropics, and at an angle that pretty much maximizes absorption. Even people who spend a lot of time in the sun at say 50 degrees north latitude tend to have vitamin D deficiencies, and this is in part why. So, what we have is what I call “the hole that always was and never made a lick of difference anyway”. Travis- care to cite a paper proving your contention? We`re not aware of any. Also, how do CFC’s which are heavier than air reach the higher altitudes. To add to other responses, buoyancy is a concept that applies to objects in water, but not to individual gas molecules. If it did, you would never see chlorofluorocarbons high up in the stratosphere. As well, ozone, having a mass of 48, would sink quickly. However when discussing water, we have to keep in mind that while its molecular mass is 18 versus an average of 29 for air, the individual water molecules condense to the liquid form and form clouds. The density of liquid water is about 1000 times that of air. However if the droplets in the clouds are small enough, Brownian motion can keep clouds up there for a long time. Water in the liquid phase does not generally go straight into the atmosphere unless you have severe weather such as a hurricane over water. I love how BASIC CHEMISTRY goes to HELL for political reasons!!! Does anyone have ANY IDEA of how fast that Cl negative COMBINES WITH WATER and MAKES HCL? What happens to that HCI? Comes out in the RAIN. TRIVIAL AMOUNTS by the way. SO, we stopped emitting significant Flourocarbons WHEN? What, over 20 years ago. BY the (as noted by others, suspect…) Ozone mesurements, we still have “holes in the ozone”. Cause and effect anyone???? NOT CAUSED BY CFCs!!! And maybe NOT EVEN REAL. The KING has no new clothes..He’s naked. David, Dobson invented the instruments to measure the “hole” and my point was the year not so much who. They said 1985 yet it was found in 1956. But I admit I thought he was there in the “50′s taking measurement. They started taking data in IGY 1957 but the paper on the development of the ‘hole’ over time was presented in 1985. The problem with the CFC’s is that they don’t decompose in the (lower) troposphere and are not water soluble, thus while chlorine salts and HCl (from the sea surface) are readily washed out, CFC’s are not and can reach the stratosphere. Ferdinand, it’s now known that volcanoes emit SiF4, HF, and HCl. Strong volcanic explosions can inject these molecules into the stratosphere, where UV produces F. and Cl. radicals. Some of this huge flux of lower tropospheric halocarbons gets into the stratosphere to photolyze into chlorine and bromine radicals. Do you have any feeling for how that flux of biogenic halogens might impact the conclusion that CFCs are responsible for the Antarctic ozone hole? Come on guys, don’t forget DIFFUSION !!! I have explained before that everything in the atmosphere is driven by differences, and differences in “atmospheric concentrations” is one of those many drivers. Basically, if two substances are “miscible”, they will tend to want to mix with homogeneous concentrations. Yes, weight differences can alter that a bit, causing some stratification, but if there is any air movement at all (which there nearly always is), then things tend to get well-mixed. Its all a balancing act between different drivers. The warmists are starting to panic big time. They know that there is a cold period coming that will make an absolute nonsense of all their CAWG claims. And all their funding !!! Ferdi, although it is somewhat recent, in 2009 Ravishankara. showed that N2O is a very important ozone depleting molecule, in fact, with the CFCs being controlled it may be the most important from human sources. His motivation for looking into this was that he thought that while the CFCs were also strong greenhouse gases, possibly some of the common greenhouse gases (not CO2) would deplete ozone. Indeed water vapor in the stratosphere does through various cycles deplete ozone. Well FWIW water vapor (MW 18) is lighter than air (avg MW 29). I think you were talking about the 2007 paper from Stan Sanders lab claiming a low absorption coefficient for the ClO dimer (Pope et al. (J. Phys. Chem. A 2007, 1, 4322). This has not stood up, there is work from Burkholder also work from Academica Sinica and other labs pretty much returned the situation to the status quo ante. Go to your nearest power sub-station and you can smell the ozone. What happens to all of the Ozone created around every high voltage power distribution transmission line? On a calm day you can smell the Ozone generated when standing under a high voltage line. How many miles of distribution lines are generating Ozone? Is a similar approach taken to all things based in science or is it only that it sees it’s role as helping people feel good about destructive behaviour? Great speech by the way. I’m mystified as to why anyone would think the two statements at the beginning of the article are contradictory. What has not been much discussed is how powerful a GHG ozone is, and there is a lot of it, and it fluctuates a lot in response to all sorts of things. I found the CFC argument on the other hand, to be quite weak, in particular the idea that the ozone ‘hole’ in Antarctica is principally caused by human emissions of CFC’s. It is akin to arguing that the CO2 change in the atmosphere is principally caused by human emissions. Contributed, yes, but principally? That would require proof that is not evident (yet – maybe it will be found, let’s not rule that out). If global temperatures could more definitely be better linked to CO2 or ozone, there would be more to go on, but there are so many uncounted factors and negative feedbacks that both are still in the ‘postulate’ stage – the temperature just does not play fair! Plus the supporting arguments will be much more difficult to make if we drop into a prolonged cooling period of 15 or 20 years. We still have a lot to learn. SO, we stopped emitting significant Flourocarbons WHEN? Due to convective T-storm action (e.g. discharge through the anvil cloud) or as a result of ‘general drift’ (on its own accord, so to speak, due to buoyancy, Brownian motion etc.)? A reply to Lu by R Muller & Gross is “Does Cosmic-Ray-Induced Heterogeneous Chemistry Influence Stratospheric Polar Ozone Loss?” DOI: 10.1103/PhysRevLett.103.228501 arguing that the data does not match his described mechanism, though agreeing that the mechanism does work and may be a contributor. It too is pretty convincing. Google Molina Steamboy and together with the other story in this blog issue you will see how Molina will save the earth again. While some of the organic chlorine sources are huge, most of them are already decomposed in the troposphere, because they are less stable under UV-light and/or broken down by OH-radicals in the higher troposphere (the same mechanism that breaks down CH4 in the higher troposphere / lower stratosphere). According to Molina, a few percent of the largest amount of a natural chlorinated molecule, methylchloride (mainly from the breakdown of cellulose by fungi) can reach the stratosphere and helps to breakdown ozone. That is the natural part, which is working since nature invented fungi. CFC’s were worse, as they need high energy UV light to split the molecules, so they don’t break down in the troposphere and near 100% reaches the stratosphere. The ozone “hole” was initially discovered by three British Antarctic Survey scientists: Farman, Gardiner & Shanklin (1985). See their evidence in Figure 1 of that paper. The thick black line represents the 1980-1984 observations compared to the 1957-1973 mean. Because of these results and the potential harmful impact to global life, ozone-depleting refrigerants are being phased out, worldwide, under the terms of the Montreal Protocol on Substances That Deplete the Ozone Layer (Montreal Protocol). These refrigerants include hydrogenated chlorofluorocarbon (HCFC), and chlorofluorocarbon (CFC) refrigerant gasses. Under the Montreal Protocol, as of July 1, 1992, it became illegal to release refrigerants into the atmosphere (intentional or accidental). As discussed in ASHRAE (2005), the production of CFC is banned as of 2010 (with the exception of UN Charter Article 5 developing nations); additionally by 2010, total ozone-depleting refrigerant consumption and production must be reduced 75% from the 1989 CFC baseline [further reduced by 90% in 2015, by 99.5% in 2020, and by 100% in 2030]. Although there are no restrictions on hydrofluorocarbon (HFC) refrigerants under the Montreal Protocol, they are expected to be regulated soon due to their global warming potential (GWP). Because of the confluence of these factors, industry is shifting to natural refrigerants. Natural refrigerants include ammonia (used since 1820 when Faraday discovered its evaporative cooling properties) and CO2. It may seem surprising that CO2 is a preferred refrigerant considering the anthropogenic global warming (AGW) hypothesis, but many HCFC, CFC, and HFC refrigerant gasses have a higher global warming potential (GWP) than CO2 as indicated in the latest United Nations Intergovernmental Panel on Climate Change (IPCC) Report (Denman, et al., 2007; and Forster, et al., 2007); therefore, their replacement by CO2 not only reduces ozone damage, but also lowers the overall global warming contribution. U.S. regulations concerning ozone depleting pollutants are found in US Code (2006) Title 42, The Public Health and Welfare, Chapter 85, Air Pollution Prevention and Control, Sections 7671-7671q, Stratospheric Ozone Protection (42 USC § 7671-7671q). These regulations are mirrored in the updated text of the Clean Air Act in sections 601-618 (CAA § 601-618). It is important to note that Title 42 of the US Code has not been passed into ‘positive law’ (GPO, 2009). Titles in the US Code that have not been enacted into positive law are only prima facie evidence of the law and thus open to legal challenge and disputation of violation. Denman, K.L., G. Brasseur, A. Chidthaisong, P. Ciais, P.M. Cox, R.E. Dickinson, D. Hauglustaine, C. Heinze, E. Holland, D. Jacob, U. Lohmann, S Ramachandran, P.L. da Silva Dias, S.C. Wofsy and X. Zhang, 2007: Couplings Between Changes in the Climate System and Biogeochemistry. In: Climate Change 2007: The Physical Science Basis. Contribution of Working Group I to the Fourth Assessment Report of the Intergovernmental Panel on Climate Change [Solomon, S., D. Qin, M. Manning, Z. Chen, M. Marquis, K.B. Averyt, M.Tignor and H.L. Miller (eds.)]. Cambridge University Press, Cambridge, United Kingdom and New York, NY, USA. EPA. 2009. U.S. Environmental Protection Agency online, http://www.epa.gov/ozone/title6/phaseout/hcfc.html, retrieved Dec. 6, 2009. Farman, J. C., Gardiner, B.G., Shanklin, J.D. 1985. “Large losses of total ozone in Antarctica reveal seasonal ClOx/NOx interaction,” Nature. 315: 207-210. GPO. 2009. U.S. Government Printing Office website, http://www.gpoaccess.gov/uscode, retrieved Dec. 10, 2009. IUPAC. 2009. International Union of Pure and Applied Chemistry (IUPAC) Gold Book Online, http://goldbook.iupac.org/D01827.html, accessed Dec. 13, 2009. NASA. 2009. National Aeronautics and Space Administration website, http://www.nasa.gov/vision/earth/lookingatearth/ozone_record.html, retrieved Dec. 12, 2009. NOAA. 2009. National Oceanographic and Atmospheric Agency website, http://www.cpc.ncep.noaa.gov/products/stratosphere, retrieved Dec. 12, 2009. Parsons, R., Kuehn, T.H., Coleman, J.W., Suryanarayana, N., Ayub, Z. 2005. 2005 Ashrae Handbook : Fundamentals : Inch-Pound Edition. Atlanta: Amer Society of Heating, Refrigerating and Air-Conditioning Engineers, Inc.
Schwartz, S.E., Warneck, P. 1995. “Units for Use in Atmospheric Chemistry,” Pure and Applied Chemistry. 67(8/9):1377-1406. United States Code. 2006. http://www.gpoaccess.gov/uscode, retrieved Dec. 10, 2009. It is also similar to those in the spring of 1958 at the French Antarctic Observatory at Dumont d’Urville [opposite side of the South Pole from Halley Bay], when Rigaud and Leroy [quoted in Annales Geophysicae (November, 1990)] reported atmospheric ozone levels as low as 110 DU. “LARGE quantities of ozone-depleting chemicals have been discovered in the Antarctic atmosphere by researchers from the University of Leeds, the University of East Anglia, and the British Antarctic Survey. Regarding the “new scientific discoveries”, presumably Dr Molina is speaking of the IPCC Extreme Scenario paper, written a few months ago by a group led by a WWF activist. He is a member of WWF-México’s Senior Advisory Council and works closely with WWF in Mexico, receiving funding via them and their patrons such as Carlos Slim, who is a member of Ban Ki Moon’s Climate Advisory Group, along with Pachauri’s old friend Ratan Tata and his Senior Executive for TERI-NA (North America), Leena Srivastava. Bottom line: You don’t have to worry about ozone around electrical facilities unless you are actually at those facilities. Ozone actually has its uses. “Ozone machines can be a valuable tool for fire restoration. Ozone infiltrates carpet, furniture, ventilation ducts and cracks to destroy the smoke smell.” It is also a powerful disinfectant. Remember the $2.7 billion scam that was exposed not long ago wherein refrigerant production was running overtime to produce CFC’s as a byproduct (deliberately) which was then ‘destroyed’ by putting it back into the process that was its progenitor, charging the EU $100,000 per ton to ‘dispose of it’. That story is a good introduction to the CO2 offsetting business and the morals of carbon trading. Believe it or not, there is a profit to be made by producing a ton of CFC’s and then being paid $100,000 to destroy it. I believe this process involved is called GALL. Well, global warming could be related to extreme events…but how would you know ? We can not accurately measure “global warming” nor present extreme temperature events…. An increase in CO2 is supposed to increase the H2O in the atmosphere to get the factor of three kick that gives us CATASTROPHIC warming. With out the factor of three positive feed back from water there is no CATASTROPHIC warming. So there is a wee tiny problem with that. If the humidity increases it suppresses the temperature extremes. Think deserts. So the extreme temperature events can not possibly be a sign of global warming. They are a sign of dry air. Also the less energy the less evaporation and CO2 is supposed to be increasing the energy enough to cause MORE evaporation. The warmists really need to get their logic straight. You just can not claim every thing is due to warming otherwise it becomes obvious you have to be fibbing. See graph of atmospheric transmission not to mention 4% H2O vs 400 ppm CO2 in the atmosphere. Water in all its aspects is the elephant in the room so the warmists rarely mention it. Zzzzzzzzzzzz…. I don’t really care what the ozone level in the stratosphere is — bottom line is what are the UV levels at the surface? Doesn’t seem too difficult to measure. I recently tried to have a car ac reharged but there was a big leak. I ended up being charged over EUR50 for refrigerant lost to atmosphere and still don’t have working ac. I suspect price included a large ‘service component’ but I still don’t doubt that HCFC’s are much more expensive and profitable products for chemical companies that CFC’s were, espeically when patents were fresh. One can suspect a conspiracy in the exageration of the effect of CFC’s on the ozone layer. For the same reason it is hard to see how regulators in the pay of such companies will ever approve CO2 charged ac/s. How would they make money? They will ban it on exaggerated safety grounds. As a young grad student in the early 70s, I was introduced to the current state of the ozone hole scare tactics. The hole was discovered during the international geopphysical year, IGY, in 1957. The predates any substantial use of freon/cfcs. At the time it was being used by soviet propagandists to be blamed on open air nuclear testing and was expected to be made worse by supersonic passenger service and the upcoming space shuttle. in other words, it was going to be blamed on western technological advantages. It was a decade later that dupont’s cfc-12 (car a/c freon) patents were running out and dupont started donating to envirowhackos to get it banned. i guess once a junk scientists always a junk scientist. Wait, what happened to tornadoes. And hurricanes? This has been another very low month. I still don’t doubt that HCFC’s are much more expensive and profitable products for chemical companies that CFC’s were, espeically when patents were fresh. One can suspect a conspiracy in the exageration of the effect of CFC’s on the ozone layer. And yet the CFC manufacturers strenuously resisted their regulation, the Chairman of the DuPont board was quoted as saying that ozone depletion theory is “a science fiction tale…a load of rubbish…utter nonsense”, and the inventor of the aerosol can wrote to the Chancellor of UC Irvine to complain about Rowland’s public statements on the effects of Freons on the Ozone layer. A much more effective graphic is the one whose link follows, created at my suggestion. It shows a pair of upraised hands, like those used in the War Resisters League’s circular logo, snapping a hockey stick (instead of a rifle). The three words in the perimeter should be (but aren’t because I don’t know where to find a graphics guy to make the change), “Gore Resisters League.” This would make a tremendous logo for our movement, IMO–it could be used on buttons, coffee cups, computer icons, lapel pins, bumper stickers, T-shirts, etc. To an increasing extent as the tropopause warms, but the natural mechanism is photoxidation of hydrocarbons (methane) that react the stratosphere. than by the opportunity to increase profits.